In the design world, Patina can refer to a finish or the aging of a material. 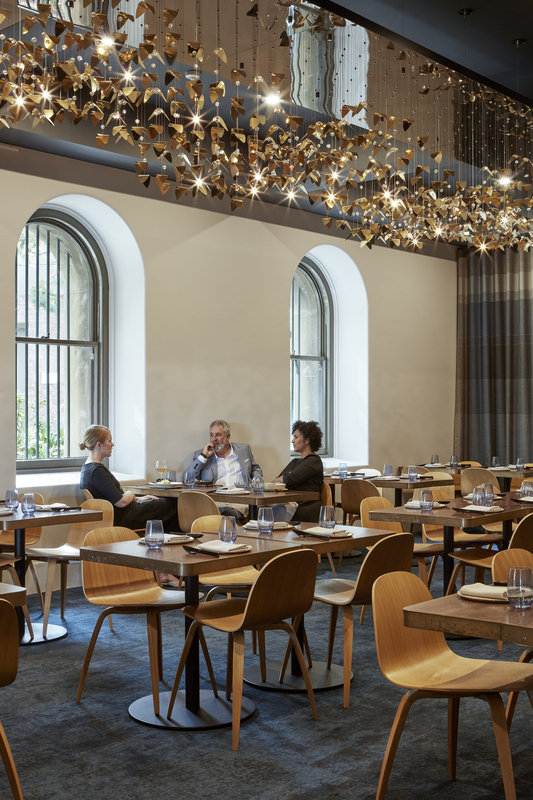 One might argue…nothing good comes from aged designed but in the case of Patina restaurant at the heritage-listed Customs House in Brisbane, the delight was in these very details. Seeking a warm, modern, and sophisticated look for a space that was traditionally utilitarian, Architecture firm Conrad Gargett reflected on the history of the Customs House using an interior palette of blues, greens, and golds nodding to the patinated copper dome roof and brass and bronze details located throughout the Customs House. The space offers a river terrace overlooking the Story Bridge with indoor and outdoor dining spaces. Yellow Goat Design was lucky enough to provide the show-stopping lighting elements for the main dining room and bar area. 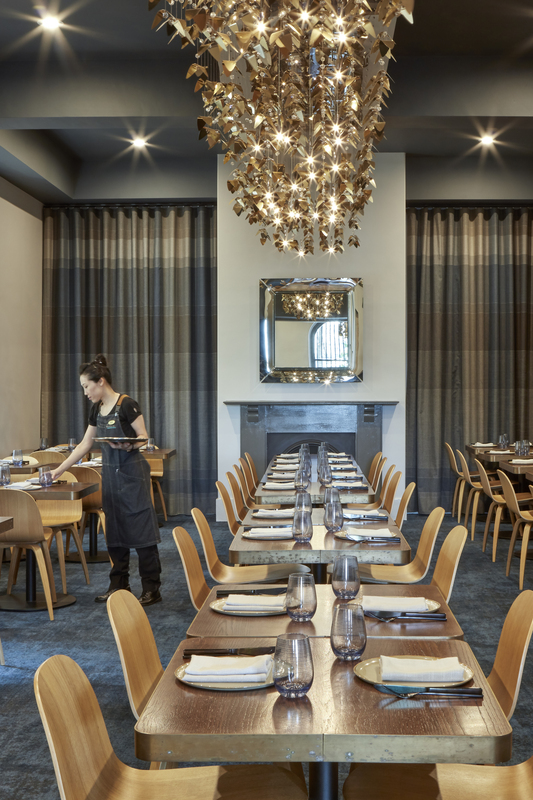 Our gold finish kite fixture runs the length of the dining room and the bar, adding sparkle and drama in contrast to the subtle furnishings and color palette. 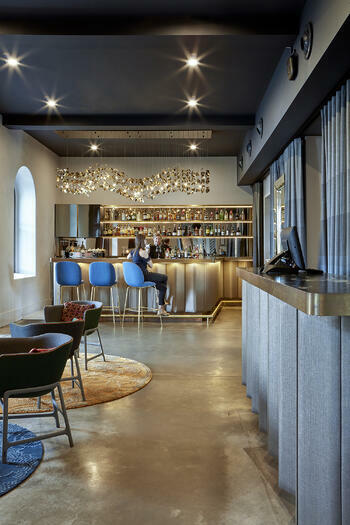 “Aesthetically, the bespoke lighting feature is a work of art and takes our guests’ breaths away." To us, creating an experience and reaction like this, is worth its weight in gold.